leica.overgaard.dk - Thorsten Overgaard's Leica Pages - The Story Behind That Picture - "The Royal Family of Denmark"
The story behind that picture: "God Save Denmark"
The last week I covered three events with the Royal Family of Denmark, and in times where we celebrate holidays with our families, why not indulge in the Royal family as well. 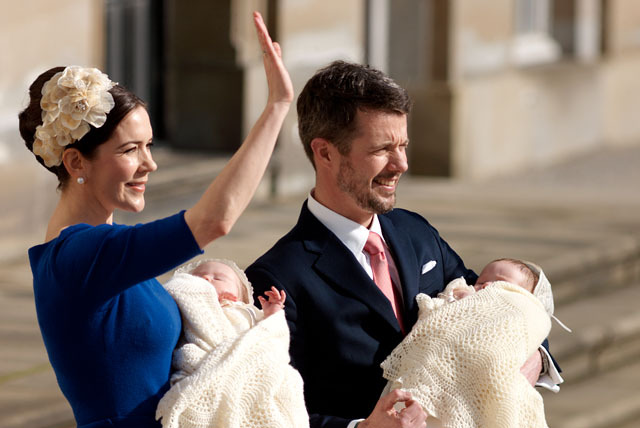 Crown Princess Mary and Crown Prince Frederik of Denmark waving to a few thousands people outside their palace, as well as a few million television viewers. Leica R8/DMR with Leica 400mm Telyr-R.
What is always striking to many foreign reporters visiting Denmark to cover royal events is how easy accessible the Royal Family of Denmark is. You can get quite close, some times a few centimeters, at other times when security is really tight, a few meters. It's different than celebrities though, for example you don't direct a royal family member, and you don't yell, "look this way" (unless you are from a really bad family, and some photographers are). Queen Margrethe of Denmark celebrating her 71th birthday with her husband, Prince Henrik by her side. The garden in front of the castle had been made open for the public and 5,000 people visited and sang birthday songs to a delighted queen on the garden terrace. 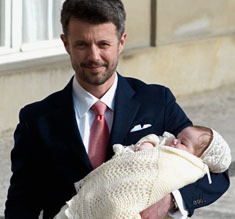 But what is even more striking, is how the royal family always have great weather for their events. It may rain before and after, but when their events start, the sun shines. And I'm not the only one who has noticed. When attending the royal christening last Thursday, I went from the royal palace to a nearby café to edit and send off the first photos of the crown prince and crown princess leaving for the christening ceremony that would start at the church at 15.30. Exactly at 15.31 as I'm sitting by the window with my computer and an espresso, the sun blasted so strong I had to move to see the screen. I looked at my new Karl Falk watch because ... well, I guess the way the sun hit me felt as a signal of some historic event and I wanted to note the time. You never know. I wasn't the only one who had noticed. We talked about it when I came back to the other members of the press, and we also talked about how Denmark feels like a cozy family at times like these. The sun is shining, the television media don't report bad news because they are too busy reporting live for hours about the happy people in the streets, how great the crown princess looks after the birth of four kids, and all the wonderful dresses the female guests are wearing ... and the remarkably great weather. On Wednesday I was covering the opening of the Treasure Chamber at The Old Town in Denmark. Leica M9 with Leica 90mm Summarit-M f/2.5. 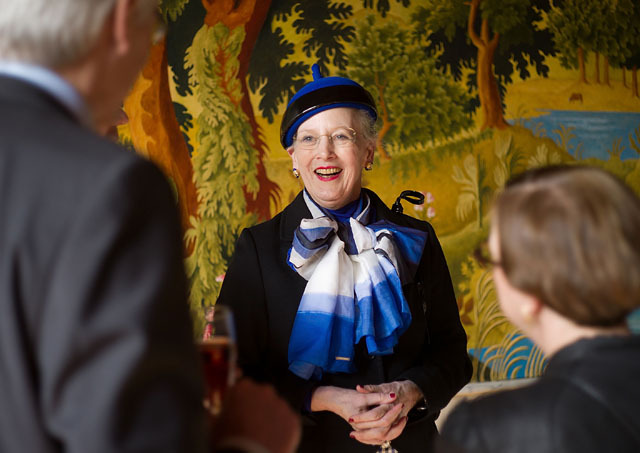 It's normal in a kingdom to end off by saying "God Save the Queen" or "God Save the King", but what the Queen of Denmark says when she ends off a speech, is "God Save Denmark." It's an interesting and nice little detail. We're a little nation of only five million people, so I guess it's not such a big deal for God including all of us instead of only the Queen, but it's suitable for a king or queen to take that good care of alle the people. 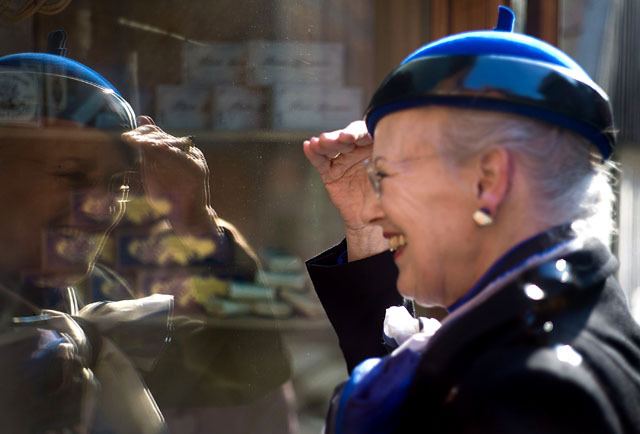 The Queen Margrethe of Denmark studies a shop window of an authentic 1924-store window. Leica M9 with 50mm Summicron-M f/2.0. 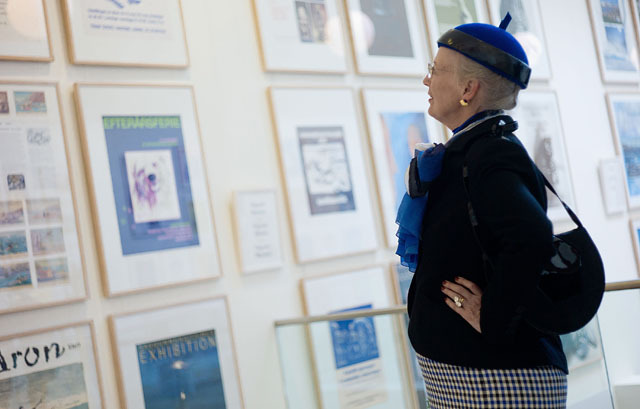 After the event in the Treasure Chamber I had the opportunity to follow a private tour with the Queen Margrethe through The Old Town as the only photographer, a so-called exclusive. You may wonder how that goes, and it goes the usual way that I try not to be there, yet I'm just next to all the time. As with any other person, you can tell if they don't like being photographed, and I think one should respect that, also for people who live in the limelight. You should only photograph people when it does something good for them. 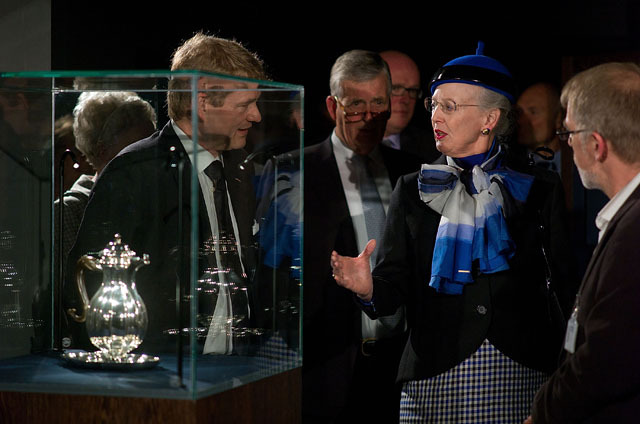 The Queen with the director of the museum. Though close, I like photos like this that tell a larger story than the usual tight cropped photos you see of royals and celebrities in the media. The photo on top of the page will probably never make into the media, but I like photos like that ... and thought not financially feasible, I take great pride in them. It's just better storytelling in my opinion. 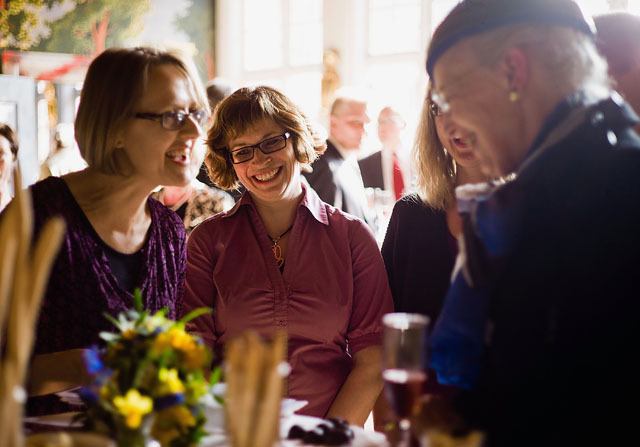 This one was made with the Leica R9/DMR with 19mm Elmarit-R f/2.8. 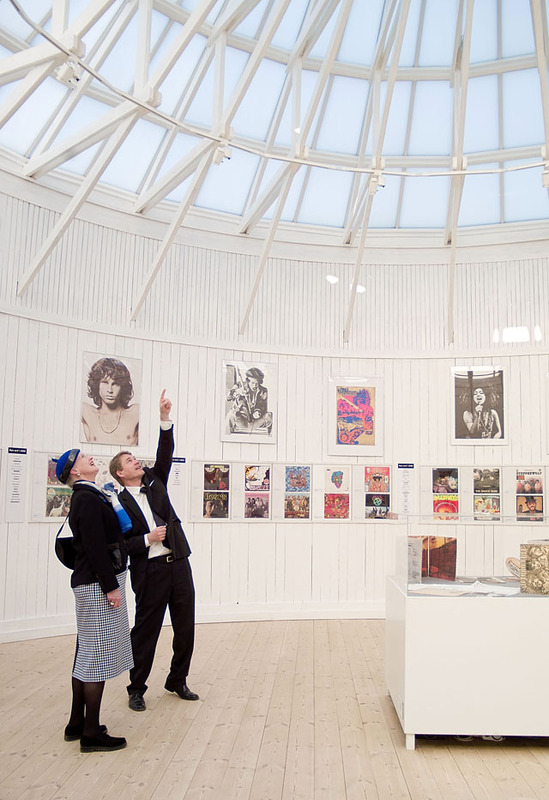 I would love for others to get the experience, because the queen is quite enthusiastic and seem to know almost as much about Danish history and culture as the director and inspectors of the museum, and she visits out of personal interest. A picture says more than a thousand words. The queen discusses details of future renovation projects in The Old Town with the three female museum inspectors. Leica M9 with 50mm Summicron-M f/2.0. 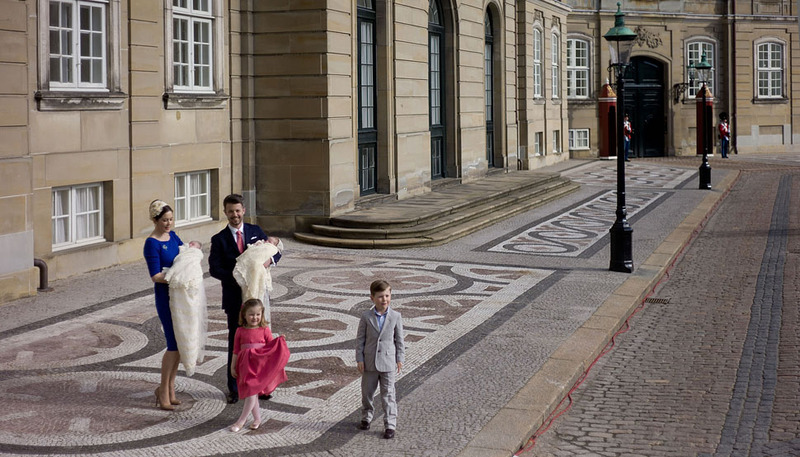 Above: Crown Princess Mary and Crown Prince Frederik of Denmark with their four children in front of their home, the Frederik VII Palais of Amalienborg, Copenhagen. Photographed with Leica M9 and 50mm Summicron-M f/2.0.